In our experience making so many arrangements, here is how most guests handle their meals. 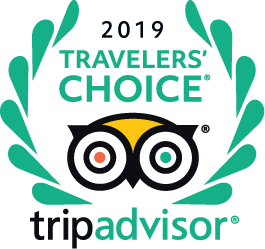 Upon arrival, we will arrange for dinner at one of our favorite little restaurants and set up transportation to and from. If you don’t feel like going out, we can even have pizza delivered! The next morning a quick trip to the local grocery store for supplies, snacks and beverages, so that you can personally see our selection and make your own choices. 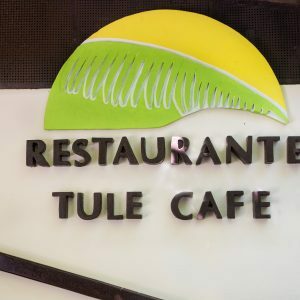 Breakfast: “Out or In” – There are several restaurants nearby for those who prefer going out including the Tule Café located on site. 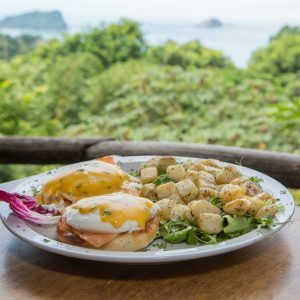 Many guests enjoy preparing a light breakfast right in their villas; fruit, breads, cereal, yogurt, etc are available at our local stores as well as eggs and breakfast meats. 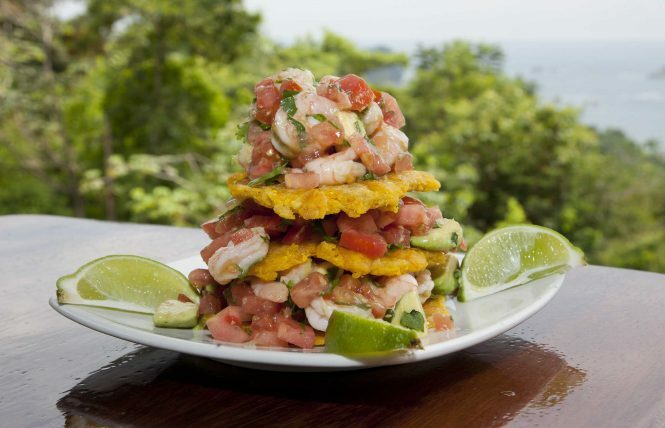 Lunch: usually “Out” – During the day, most guests are not around the villa (usually at the beach, the national park, exploring Quepos or on the zip lines or jet skis), so they have lunch out (many tours include either breakfast or lunch). 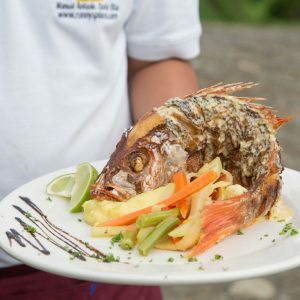 Dinners: Usually “Out and In” – It’s great to have a private chef for a few dinners while you are here; the special service is fun and the food is delicious! Some guests enjoy the fun of cooking a dinner or two in the villa themselves. 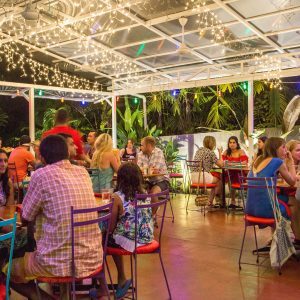 We also have so many great, little open air restaurants nearby, our guests enjoy sampling them too. We will offer suggestions plus handle the reservations and transportation (if needed). If you’re hungry and looking for something very unique, this one is for you! 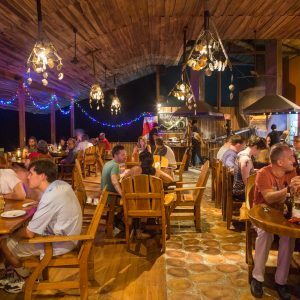 Everything on the menu is cooked over a wood fired grill; beef, fish, pork, chicken and vegetables. 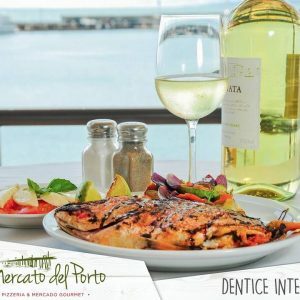 The flavor is amazing and the portions large, the sunset ocean views are spectacular. The service can be a little slow, but relax and watch the show in the kitchen! 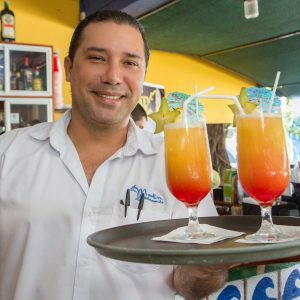 Right across from the main beach in Manuel Antonio, Marlin is an excellent spot for people watching. 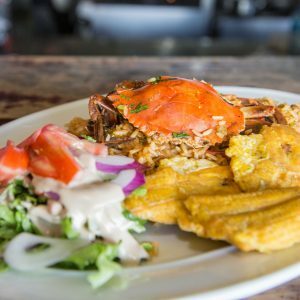 A great, inexpensive menu with everything from burgers to sandwiches to Mexican and local favorites. Great for breakfast too. 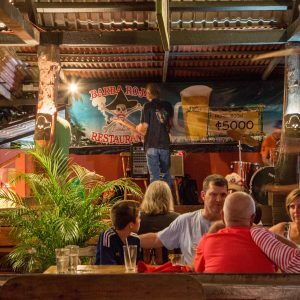 Established in 1975, Barba Roja is the longest-operating business in the area. Fun and festive with a lively crowd! There is always something going on here. Diverse menu with steaks, seafood, burgers, and even sushi. Don’t miss their dinner specials during the week! Sit under the palms with your feet in the sand. Casual beachfront lunches, snacks and drinks. 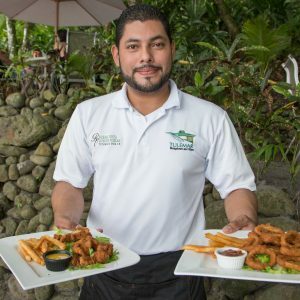 The menu includes light, hearty, and traditional choices such as salads, ceviche, quesadillas, burgers, and fish specials plus items for the kids. Great drinks too! Sign the check to your villa. Open from 11:00 am to 4:00 pm. 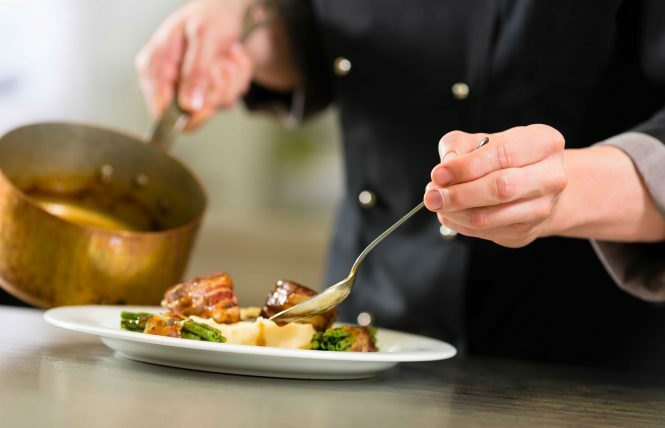 We can provide a personal chef for one special meal or for all of your meals, whichever you choose!